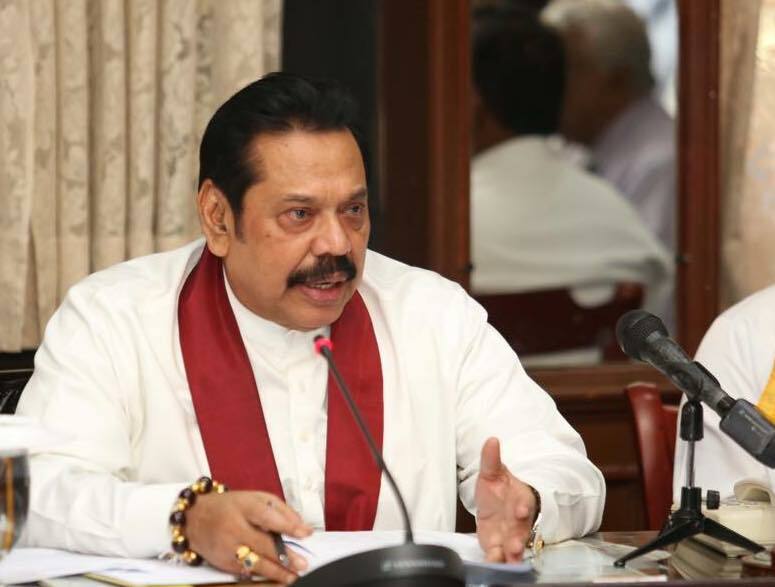 Former President Mahinda Rajapaksa and his Podujana Party members, warned Sri Lanka’s editors at a media briefing on 26th March that the proposed Counter Terror Bill will dilute the ‘peoples’ victory’ won by RTI. Pointing out that the RTI Act is a ‘good thing’, Dullas Allahapperuma said that the Counter Terror Bill will take away the importance of the RTI Act. The Bill should be opposed as it contains several provisions harmful to citizens and the media, he and the former President said. Though applauding the RTI Act now, Rajapaksa’s Government refused to enact the law for several years, shooting down a proposal by then Opposition member Karu Jayasuriya to bring it as an independent members’ bill. Analysts were sceptical about the Rajapaksa praise for RTI now, saying that if they come into power, significant obstacles will be put in the way of the smooth working of RTI. ‘Government bodies may be instructed to ignore the RTI Act and the RTI Commission may be weakened as its active Commissioners will step down,’ a journalist-activist based overseas said. Meanwhile, the Rajapaksa push to ‘support’ the independent commissions reached bizarre heights when the former President sat as a ‘distinguished invitee’ in the front seats of the extravagant launch of the Commission to Investigate Allegations of Bribery or Corruption (CIABOC)’s action plan on tackling corruption held at the plush Shangri-La hotel, itself a site for controversial corruption allegations. Rajapaksa, his brothers and son have several corruption cases pending and ongoing in the fast-tracked corruption focused special High Courts. The launch was heavily criticised in the media as a RTI disclosure at the same time had found that the CIABOC had filed only one case involving more than Rs. 10m in court during the past ten years even though a staggering Rs. 2.3b of public money had been spent on maintaining CIABOC. The Colombo Telegraph also learns that several RTI appeals had filed at the RTI Commission by complainants who had complained to the CIABOC regarding instances of bribery and corruption in government entities and by politicians but had not been informed by CIABOC as to why their complaints were dismissed/not proceeded with. One appellant told Colombo Telegraph on the basis of strict confidentiality as his appeal was pending at the RTI Commission, that the RTI Commission had subjected the senior officers representing the Bribery Commission at the appeal hearing to heavy questioning as to why reasons cannot be given when a complaint is dismissed by the Bribery Commission without just informing complainants of the fact. He said that there were many similar appeals at the RTI Commission. There is a huge number of cases where the CIABOC decides not to proceed and does not inform the complainant why on a factual basis but hides behind the ‘secrecy provision’ in the Bribery Act to use it as an excuse for being as ‘non-transparent’ as it could be, he said. The media should also ask CIABOC under the RTI Act as to the percentage of complaints that it dismisses, he added. ‘Why should public money be wasted on a useless institution like CIABOC? Why are we funding grand launches while they do nothing or file cases that are thrown out of court?” he asked. Coincidentally, even as the CIABOC ‘celebrated’ its action plan launch, its officers went to the Colombo Magistrate’s Court to withdraw cases that it had filed against MP Johnston Fernando for failing to disclose assets and liabilities due to technical defects in the legal actions. It is you and your family are harmful to the citizens and media, nothing else. We, people have lots of evidence to that during the period of 2005 to 2015. In the Land like no other, mean IQ 79, where the grass eaters prevail, you indeed have a ready audience. However, there are many non-grass eaters as well. Feed some grass to the media. There seems to be a lot of double speak on “anti-corruption ” from the so called International Community and its NGO reps.
As long as corruption benefits the P-3 and EU and rich industrial nations corruption is OK, The EU- Washington Consensus discourse on CORRUPTION turns a blind eye to Washington puppet Bondscam Ranil and butterflies looting the CBSL. P3 twist the conservation and anti-corruption discourse to benefit America First and allies and the Global 1 percent. None of the people named in Panama Papers have been prosecuted unlike in Pakistan where Navaz Sharif PM was jailed. IMF and UK said they would send experts to investigate Panama Paper, but instead their experts did the Bondscam instead.
. Not even that senior citizens, MPs such as Parana Withararan, Gunasekara and Wasidhewa had been the least time to explain what they had to say about anything being discussed. All was decided and finally at their discussion table round within that Rajaapkshe family. People should not forget all at one, it was the facists Rajaapkshe political masturbation, almost destroyed previous adminstration. Their overseeing ministers were seen as thugs sometimes jumping and delivered the physical attacks on the ambassadors like one had been for UK then. Baggage boys and their knee-leg massage men were appointed as the guards for tha tfamily. Not much was open to the rest of the cabinet albeit them being loyal like dogs. All in all, the era was gone, since RW-SIRISENA consolation succeeded driving away the most abusive bunch. This is prime example of our dysfunctional state. A institution formed to investigate bribes and corruption , coasting billions of tax payers money which is now primarily functioning as a covering up agency. For the launch they invite a person who him self with his close family members are currently being investigated. He makes a statement on RTI pretending to support, which he him self with the help of family , had not only vehemently object and resist , but went to the extent of destroying the source it self. ( kidnap,murder and disappearance of journalist) On the day of launch the organization withdraws one more case of the accused supporter. And then comes the “fun part”. MR regrets ????? the counter terror bill which he and his family had exploited to the max for all their sinister plans. This whole circus is what makes Lanka to stand out. I suggest appointing some one with the Rajapaksa name as chairmen for CIABOC and RTI commission to complete this parody. MR and his camp can only come to power again if and only if people remained confused and ignorant as has been the case since JRJ economic program confused the common masses to the core and remained ignorant expecting windfall from sky to better their lifes. been level playing field created as evisaged by JRJ and to some extent Chandrika B and RW by economic liberalism agenda being implemented properly in the ecomic sphere. We should not be confused again what he is trying to do this time around as he has not deviated a bit from his previous agenda as he had demonstrated during the cou, and this time it is going to be worse than his previous administration as he got rid of all fair minded people from his camp, and all remaind are those of slavish mindded politiciens and their stooges and he could therefore decide who to become the next presidential candidate over a family dinner. It is quite obvious, in the event- in a remote chance , if MR and his clans going to grab political power once again, it is certainly going to be end of Sri Lanka’s what remains hiterto of pluralism! CIABOC is a parody anyway! No need to appoint a Rajapaksa to it. RTI Commission is different. Hopefully it will continue. But nothing very good continues in this country for long. So I have little hope. Why not get lost without blabbering. On Right To Information (RTI): Use WhiteVans to discourage nosy ‘Information Seekers”. On Counter Terror Act (CTA): No need. State Terror is a proven remedy.